Are you one of the many people affected by the horrible affliction of a “pretty face”? Do you try, time and time again, to scare your friends and family, but find yourself unable to frighten them because your face is just too handsome? 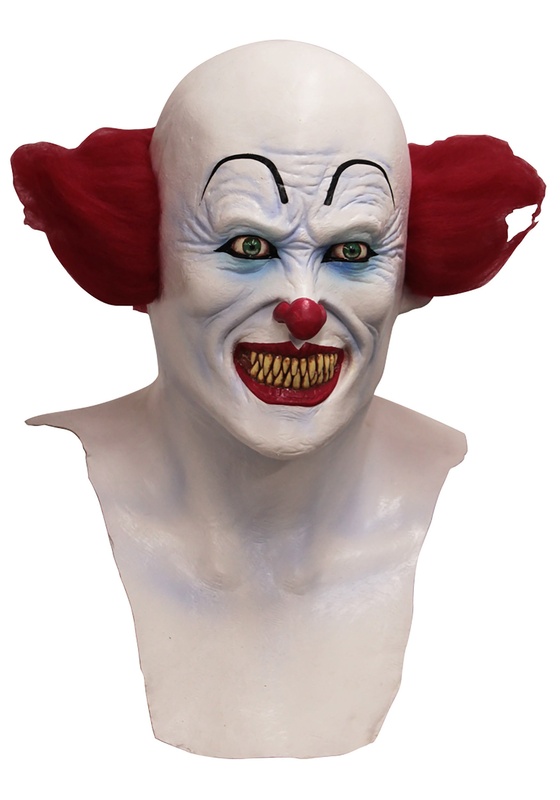 Well, now there’s the perfect solution to you common dilemma and it’s called, the adult scary demon clown mask! Yes, this Ghoulish Productions mask allows even the prettiest of people to frighten poor, unsuspecting victims. Just slip this mask, which has been scientifically designed to look like a disturbing clown (the most frightening of all mythical creatures). That means it will scare the living daylights out of most people and it’s guaranteed to at least make very brave souls feel very uncomfortable by its very presence. For added effect, make sure to play some horrifying circus music and practice your creepy cackle. Once you’ve done all that, the shrill shrieks will be pouring out of your friends and family!